The island of Abang, a place known for its shallow surrounding waters, supports clear seas and abundant marine life. With the water only about 15-18 m (49-59 ft) deep, the island hosts popular dive spots, giving views of the rare blue coral, red snapper, and red sandfish. Inland the island is hilly with granite rocks dominating the landscape, jutting out from the thick forests of the interior. Mangrove forests reach down to the coast, largely untouched, on an island still only inhabited by about 400 people. Abang is in Bali. 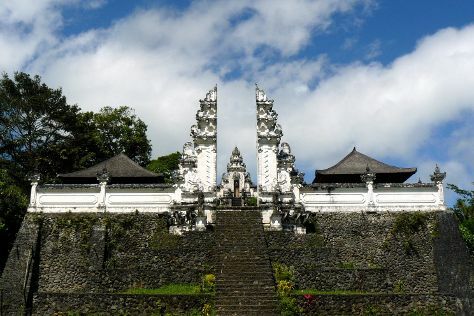 Plan your vacation with our Indonesia online sightseeing planner and discover the best things to do in Abang.